Grows fast, spreads quickly and looks good! 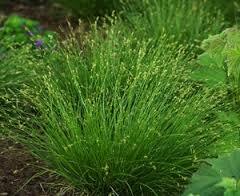 Appalachian sedge is an attractive, hardy plant that is perfect for new landscaping projects. Appalachian Sedge – Carex Appalachia. It is a weeping, perennial sedge that grows in dense mounds, reaching heights of eight to 16 inches. The leaves are deep green with a subtle texture. The foliage is narrow, capturing light and bringing movement to your garden. Its clumping nature makes it an excellent choice for containers or near rocks and stumps. Appalachian sedge thrives in dry areas, such as the borders of woods. It is native to the dry forests of eastern United States. Adding native grasses around your property gives the city a natural feel. Sedge looks fantastic along walkways or near a pond. 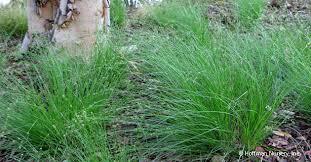 Plant Appalachian sedge in the partial or full shade. Ensure the area is well-draining. Otherwise, the sedge won’t thrive. Sedge grows well in areas with frequent droughts. Appalachian sedge grows well in many soil types and tolerates root competition. Gardeners find it adapts to many conditions and requires little maintenance, making it an excellent choice for those with a “black thumb.” If you live in USDA climate zones three to nine, consider adding sedge to your garden. Appalachian Sedge will make any area look very natural when grown. This sedge is very tolerant of all kinds of soil conditions. This plant can grow well both around water areas such as lakes and ponds, or it can grow in your yard around a water garden. This plant can grow well in dry conditions and prefers moist to dry soil. This plant can grow well almost anywhere and is easily adaptable. It can also look good planted in a container sitting on a deck or patio. The Appalachian Sedge is a sedge or native grass but can also be a water plant. Appalachian sedge can be grown in any shady site and is very tolerant of root competition. Cut back dead foliage in late winter before spring flowering. This sedge is tolerant of many soil types. The early bloom is nectar for native insects. Seeds are plentiful and a delicacy for birds. Appalachian Sedge can grow well in full and partial shade.